We know each other as fellow moms and one secret many of us are part of the secret LBL Club. Motherhood put us into this exclusive club, and it is so secretive sometimes we don’t even discuss the LBL Club with others. Unlike most other clubs, and societies, the LBL Club seems to be a secret we would rather discreetly cover-up than bring out into the open. Wait, you don’t know if you are a member of the LBL Club? Chances are good that you are part of the LBL Club and in fact if you are part of the LBL Club you are going to want to be have a membership to Sam’s Club to help you live discreetly, be poised and confident and carry on with life’s many activities. Here’s to lavish living and how to laugh out loud with confidence! LBL is Light Bladder Leakage, and this can occur in women anytime we laugh, jump, exercise, etc. It is not uncommon but it is a secret that we want to keep discreetly to ourselves but it effects every aspect of our life. Let’s look at one member of the LBL Club, Carrie and her story, see if you are her. Carrie had a typical day out planned, kids to the park, friends gathering there, and of course laughter and stories. The day was going great and all of the sudden, the one story made Carrie just snort and laugh so hard, she peed her pants. She actually had light bladder leakage. Carrie had experienced this a few times before at home, since she had given birth to her third son, so she was kind of prepared and she had a pantyliner on. Thin pantyliner’s were not going to help Light Bladder Leakage, because the LBL Club is more than just a little, it is more liquid output than you would prefer and it can occur when you laugh, sneeze, jump, or carry on in life’s daily activities. Carrie quickly excused herself, gathered up her kids and belongings and told everyone she suddenly remembered an appointment she had scheduled and had to leave at once. Here Carrie is a member of the LBL Club, the secretive club no one talks about but many of us suffer from. Her embarrassment stopped both her and her children from having fun and her inbility to shield herself from the leakage created a lack of confidence. Could things be done differently to help Carrie out from having to leave even if she had a future LBL Moment? Motherhood takes its toll on our bodies and our bladder and women’s bodies, tough as they may be to bare children are still delicate in many ways. What happens after you have kids is life-changing as it is not only mind and life-altering but body altering. After 3 children, I feel I can speak frankly about light bladder leakage, after all is there any modesty left after childbirth? It is no wonder that we visit the bathroom more often, our bladder is different, traumatized by being squashed and crushed on for months and our bodies have really had a true stressor: childbirth. Think about the miracle of life and the circumstances that brought about that life. We have housed another human inside a compartment that is so small it is almost unbelievable that anything could live in there right?Imagine being in the middle of your kitchen when suddenly as you exhale the next cough offers you wee bit of incontinence! You flush red in your face, run for the bathroom and then think, “am I my mother?” but truly incontinence happens at every age. The box you see here will be the difference maker for you, and all of your sneezing, coughing, laughing and exercising. Did you know that one in three women experience Light Bladder Leakage (LBL)? LBL can occur simply due to a sneeze or during everyday occurrences like coughing, laughing or exercise. LBL is completely manageable and Poise makes it possible to laugh, sneeze, exercise and cough without worry of leakage. I have found that many of my women friends rely on feminine care products or nothing at all to manage their little leaks because they are unaware that other options exist, those that are designed specifically for LBL. LBL is incontinence and it can’t be ignored. The Poise liners will remind you of a liner as it is a liner, not any bigger than a pantyliner, just so much more effective for LBL. While you can not always predict when you might have LBL, you can be prepared ahead of time and confident that it won’t be ruining your day. Laugh, sneeze, cough, cry or exercise you are covered when you are using Poise liners. You can work out at the gym without a second a thought and and when you and the girls are together having that fun bonding time, story exchanging and joking, don’t worry you are covered with Poise liners. Don’t even think about putting on a bulky pad that is going to bulge and cause you insane discomfort. These are thin and absorbent liners that provide discreet Light Bladder Leakage (LBL) protection that helps keep you dry and comfortable all day long so you can manage life’s little leaks with confidence. 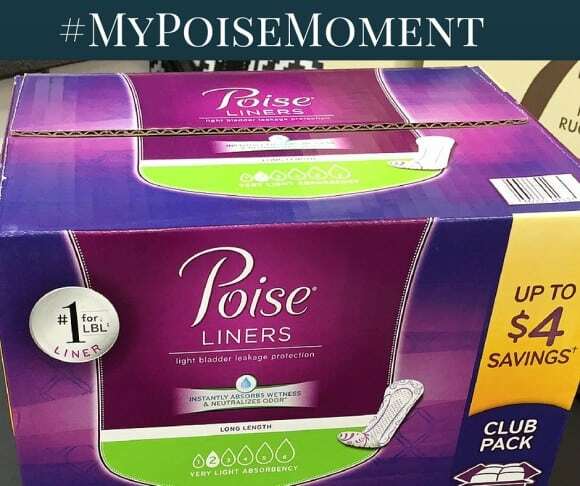 Poise liners are the thinnest liners in the light incontinence category and are designed to absorb wetness, neutralize odor and stay three times drier than period liners. Lavishly live life out loud, don’t let incontinence stop you, and let the Poise liners help you stop incontinence in its tracks(lol)! 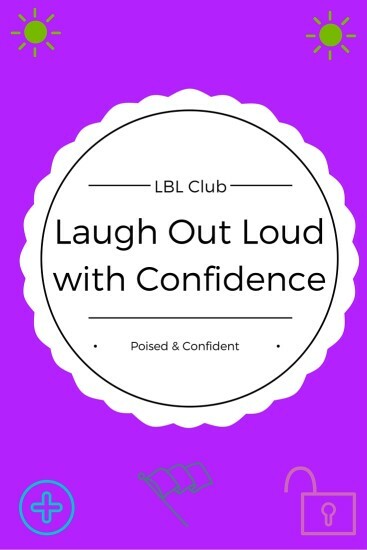 Get confident, and become worry free and get out of the LBL Secret Club and back into life! Laugh Out Loud With Confidence.